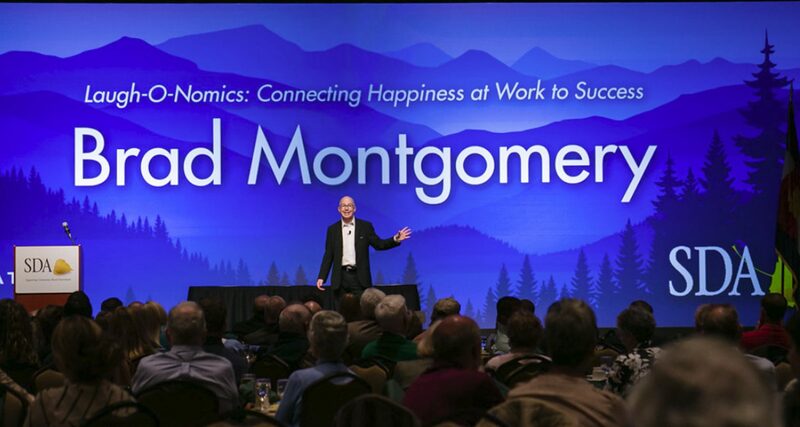 Motivational Speaker Brad Montgomery shares tips, ideas and wisdom about getting more out of yourself. Most of us have heard the theory that it takes 21 days to develop a habit. But in reality, it takes more than 21 days to create consistency for those things we really DON’T want to do. So, how can you motivate yourself to get beyond those 21 days to generate more positivity in your life? https://www.bradmontgomery.com/wp-content/uploads/2018/04/bnr61.jpg 3712 5568 Brad Montgomery https://www.bradmontgomery.com/wp-content/uploads/2018/11/logo-1-495x198-1-300x120.png Brad Montgomery2018-06-16 06:26:162019-01-15 14:35:25Is Mediocrity Your (Accidental) Goal? Lucky You! You found the secret page with a HUGE discount for funny motivational business speaker Brad Montgomery’s top selling CD and DVD. On Sale. Special. OMG this is a great deal. Heck, at this price you can buy a set for the whole family! 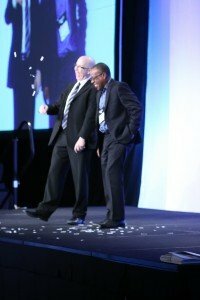 Brad’s latest CD of his very popular Laugh-O-Nomics™ Keynote – LIVE! The science is clear: happy people perform better than their unhappy peers. 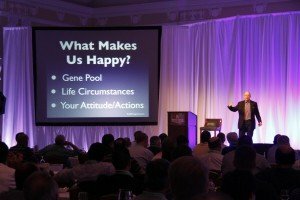 Learn the hows and whys of happiness as it relates to your life and your job. home that will make you — and your organization — happier. Listen on your commute, while walking the dog, or when you’re feeling the need to laugh. Happiness Pays! 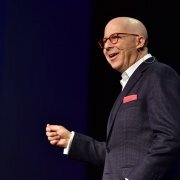 A very funny video of Brad’s full keynote. TOTALLY different material than the CD! Learn more about how to make yourself happier on purpose, and how to use that bump to improve yourself, your relationships, and your productivity at work. Need a boost to ANY part of your life? This DVD is the ticket. Brad Montgomery is a very funny motivational business speaker who believes you can be better, happier and more successful by focusing on the PEOPLE in your life — and your job. 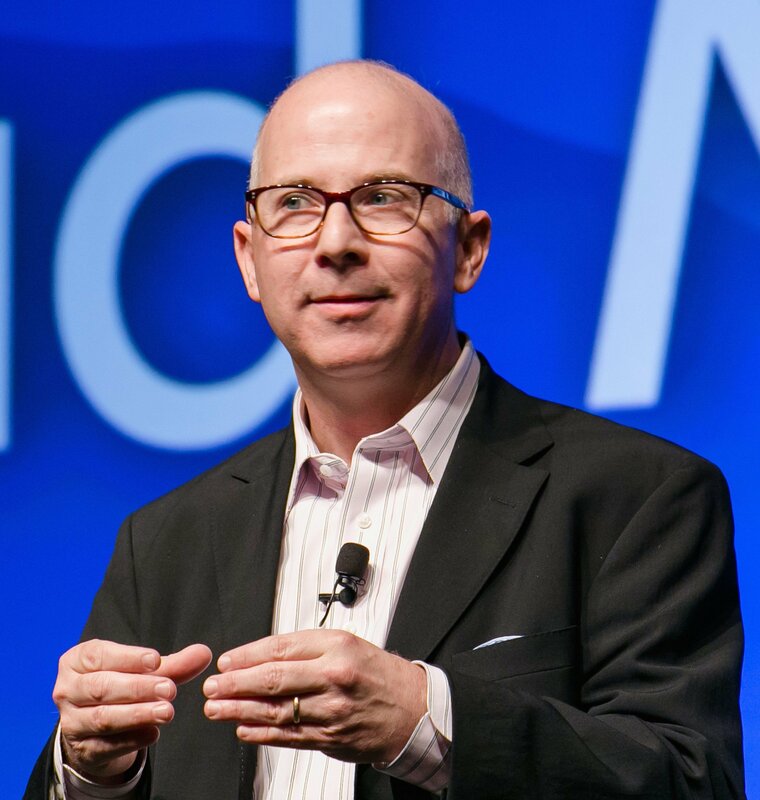 Learn more about about how Brad uses humor, levity, and stories to create change in top business audiences across the nation and around the world. Contact us now for more info on booking Brad for your event. Why do we do what we do? This question has boggled psychologists for decades. Up until now, there is no clear-cut answer to this million-dollar question. Theories are the best bet we have at the moment, from B.F. Skinner’s operant conditioning to Abraham Maslow’s hierarchy of needs. But although this field is still up for debate and research, one thing is clear: motivation is the reason we do what we do. Its literal meaning, after all, is the desire to do something. Be it waking up early in the morning to jog or working overtime on a weekly basis, it is what keeps us going. Without motivation, we will have neither the desire nor the energy to do something we deem productive. At its core, motivation has three key components. The first element is activation, in which the person decides to initiate the action. After activation comes persistence, which signifies the effort the person exerts to overcome obstacles and fulfill the goal. The last component is intensity – the amount of vigor spent to achieve the goal. Where the motivation comes from is a different discussion. Psychologists say that motivation can either be intrinsic or extrinsic. The former comes from within, meaning you actually want to do the action. Personal gratification is the keyword here. The latter is all about the external factors that drive us to complete an action, from tangible rewards (e.g. money, awards) to social recognition. So how does this relate to business? It’s fairly simple. Without motivation, any company would stagnate and eventually go bust. A business depends on the people under its employ, which means that the performance of the staff members dictates how well the company competes with the rest of the market. Without its staff fulfilling basic and crucial tasks, there would be no running enterprise to begin with. Now, think of a situation where the workers have no motivation whatsoever to finish their job. The company won’t meet its goals, and there would be no way for the business grow. Should this trend continue, the business will crash. For this reason, it is important to ensure that your workforce has the proper motivation to do well in their respective jobs. This is where Brad Montgomery and his team steps in. 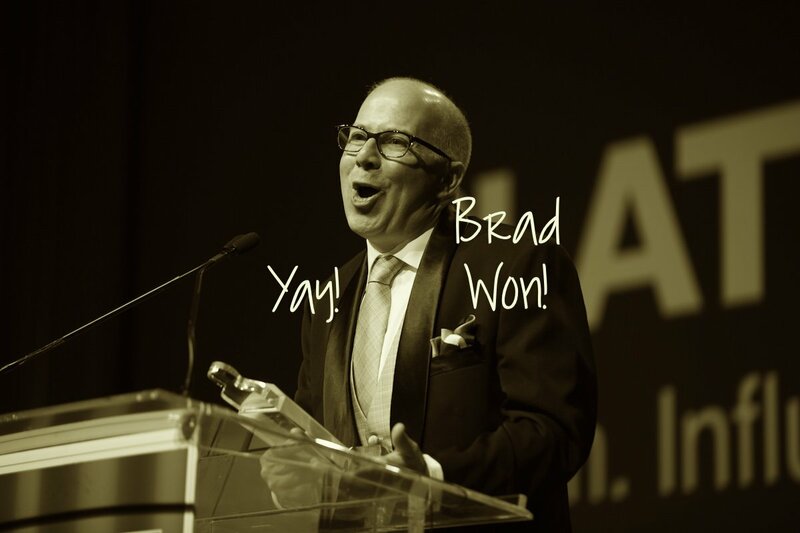 As one of the top motivational speakers in the country, Brad has the skill to bring out the best in your employees and make sure that they continue to perform excellently in their roles. Contact us today for more information about Brad’s services. Inspiration is everywhere, and nothing motivates people better than something to aim for. We think that what we do here isn’t really about motivating people to do the things they need to get done, per se. We help them find the reasons they need to motivate themselves. This is probably a more effective approach, since it allows people to find the answers for themselves. Motivation is notoriously difficult to find, especially considering the prevailing attitude about it is that it’s the one that’s supposed to find you. This is a passive approach that takes forever to fulfill, and the ones waiting for motivation to hit usually never recognize it when it does. Make no mistake, motivation can be found; it only takes a bit of imagination with regards to the places where people can look. Most people will snicker at this, but the bathroom is one of the most underrated places for people to motivate themselves. It sounds weird, but hear us out, there are some valuable motivational lessons that we can learn in the john if we paid enough attention. Take note of urine color the next time you take a pee break and congratulate yourself if it’s clear. This means you’re properly hydrated. The devil is in the details in most everything we do. If we don’t stop to acknowledge the small things we’re doing right, we’ll never be happy even with the big things. Do you know those small mint things they put in urinals? Don’t you ever want to see that thing melt away? That’s what one of our correspondents tried to do. He went to the bathroom every chance he could pee in the same urinal, just to melt the little mint completely. Did he accomplish anything by sticking to this quest so religiously? Many would argue that he didn’t, but it misses the point. The fact of the matter is, this man gave himself a goal, and he pushed through with it until he succeeded. Work is almost always small tasks that slowly build into bigger ones over time. Stick to the small goals and you’ll slowly chip away at the big prize. 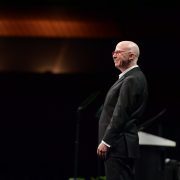 This isn’t the usual advice most motivational speakers give their audience (maybe for good reason), but these off-beat lessons need sharing. If you’re looking for a speaker that’s not afraid to go to new places to help motivate your company, contact us today. We’ll surprise, excite, and do whatever it takes to stimulate your workforce. Although introverts make up half of the population, most of them still have to thrive in an extrovert-oriented world. In the workplace, an employee’s ability to lead should not only be characterized by their charisma and likeability. As an organization that cultivates employee confidence and productivity, we believe that with the right supervision, introverted employees can shine in the workplace. In her book titled “Quiet Influence: The Introvert’s Guide to Making a Difference,” Jennifer Kahnweiler gives us an insight of how introverts can leverage their strengths to become highly effective movers of society. Who Are the Introverts in the Workplace? Most recruitment officers would go for candidates who are outgoing and charismatic. By doing this, they have closed their doors to those who might have been better assets to the organization. Introversion is simply a temperament or a preference. A common negative trait associated with introversion is shyness. In fact, not all introverts are shy. They just happen to be quiet. Workplace introverts are those who do not ask too many questions during orientations and meetings. They are the ones who work quietly, do not engage in small talk and leave the office on the dot to avoid interaction. Quietness is not entirely negative. Introverts value their solitude, which means that they have a higher degree of self-awareness. People who are more self-aware tend to be more sympathetic and compassionate towards other people. Though they may appear passive and apathetic at times, they are actually more pensive; thus, careful and wise with their words and decisions. Introverts reveal their talents and interests in in-depth conversation and focused dialogue. To inspire introverts to lead, managers should give them tasks that will most likely bring out their creativity. Research links creativity as a common trait among introverts. They tend to be more productive if an activity or a task brings out the inner artist in them. It will come as a surprise that the person whom everyone perceived to be submissive is actually the one to break the status quo and inspire innovation. Introverted employees usually shy away from public speaking. As an organization, you should not just let them stay in their comfort zones. Give them opportunities to shine and put their skills and talents to good use. Contact us today and help groom them to become effective and confident public speakers and leaders. Self-motivated employees are the most productive in the workforce. Managers are willing to give them more latitude and freedom with their work because of their productivity. However, this type of employee is difficult to find because several factors have to come together for this to happen. You, as a leader, have the power to instill a self-driving attitude in your employees by developing their intrinsic motivation. An employee’s intrinsic motivation is their inherent drive to face new challenges and discover new possibilities—something that ties with their social and cognitive development within and outside the office. Social context situations such as rewards or feedback about work lead to experiences of competence and accomplishment. On the other hand, negative feedback does the opposite effect to a person’s intrinsic motivation. Small things like thank you notes, acknowledgement of contributions and more latitude in work gives an employee confidence and sets the foundation for building intrinsic motivation. Before you start praising and rewarding your workforce, they must also display competence. Autonomy must accompany competence for an employee to see that their behavior follows self-determination by intrinsic motivation. For this to occur, there should be an immediate contextual support for both. As a manager, you must meet the needs of your workforce to keep them motivated. You accomplish this through appropriate compensation, bonuses and other forms of material rewards based on performance. Other ways include; creating a culture and environment conducive for work and providing them with more than just monetary benefits. Brad Montgomery is a motivational speaker for people who matter the most. Brad believes that your best assets in the organization are your people. 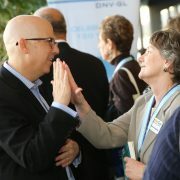 He coaches companies and people about the various strategies to improve productivity and deliver results. He helps you motivate your workforce to find potential leaders and create an environment driven to succeed. Contact us to learn more about the services offered. As an organization that trumpets positive thinking, we want to look at how optimism affects human nature, suffering and adversary. The power of happiness is universally recognized. You can see it lettered in the subway, in motivational posters, in pop songs and in books, in conferences and symposiums. It’s infectious and it’s effective. But why? Think back to the last time you experienced a loss or went through a hardship. Did you respond by venting? Did you dwell on the disappointment? Or did you look for meaning through the adversity? Did you bounce back? Freud stipulated that people simply needed to express their anxiety and anger. For many years, psychologists followed this line of thinking. But new research says otherwise. Positive emotion does a better job at undoing a stressful negative experience, thereby leading to happiness and positivity. It’s more than positive thinking; it’s resilience. A positive outlook in the face of hardships is the most important predictor of resilience. It helps people quickly recover from difficult circumstances and bounce back. People who are resilient are more optimistic and are better able to regulate their emotions through the most trying times. To illustrate, consider how a study examined 750 Vietnam war veterans. These brave men were held prisoners for six to eight years, tortured and kept in solitary confinement. The study found that unlike other veterans, they did not develop posttraumatic stress disorder or depression. They were resilient, optimistic, and altruistic. They derived meaning from trauma and grew wiser about it. Although this situation is not likely to occur in our target niche, we are simply stressing how important optimism is in whatever circumstances we are facing in life. Whether it’s a challenging time for your market or a difficulty in the workplace, finding the silver lining is the first step to finding the light. Let us show you how to find the light and how to keep it. Contact us today. Learning doesn’t stop, even if people finishes school or don’t even attend one in the first place. That’s life for you, forever giving you opportunities to gather new knowledge. Now, it’s hard to be scholastic about everything, because people won’t get things done if they do. That’s why reading is encouraged. Whatever work you do, it’s always good to be a well-rounded person. It’s not just about earning more money, it’s also about being as efficient as possible. As a motivational speaker, I only want the best for the people I help. But I’m also the first to tell you that motivation can only do so much for some people. It may even leave the people half-full. This is where reading helps, because their stock knowledge complements what I say in the keynote. It’s the same if they start to read after attending the seminar. Most people, even from a young age, attribute reading as a primary source of knowledge, if not success. As early as the third grade, we are able to associate answers to something we read. If you are a manager, it’s worth the effort to locate books that will help your employee. If you are working for a team, you suggest the same thing. Let’s face it: as adults, we find academic books dull. The books we’re likely to read are those that are in the self-help sections of bookstores. It’s no shame to admit that, probably because those books actually help. Even fictional stories help, as long as they contain values that will help people’s development further. This is where motivational speakers, like me, come in. Think of us as batting coaches. We’ll tell you where the pitcher is likely to throw the ball so you can hit a homerun. 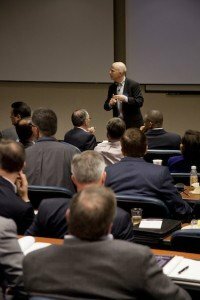 We prepare speeches and topics that will work with certain types of employees or for a certain industry. Give Brad Montgomery a chance to work for you and your employees. Contact us today to schedule an appointment.